The recent thread about a meteorite landing in Cuba got me thinking. 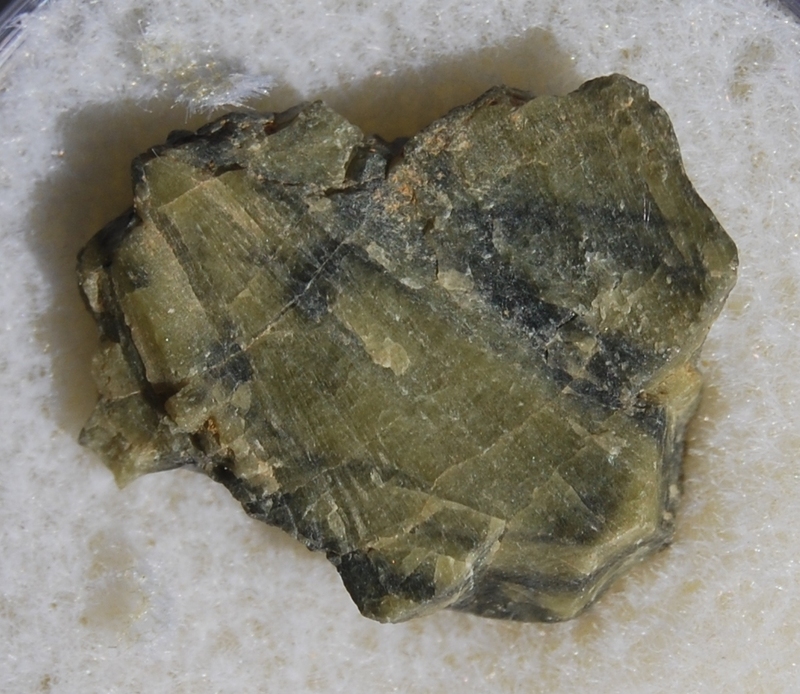 Thanks vegasjames for mentioning that olivine can be found in meteorites. I thought this was just a piece of lava from the ancient volcanoes to the West of me. Now, I am unsure. It is moderately magnetic in most of the darker areas. It does have a metallic type luster in places. The reddish brown areas were what made me think it was volcanic. The colors (as shown on my computer) are a little off. The reds and greens are darker in person. The green areas are Olivine (pretty sure). Found at location on my avatar. Looks like a vescular basalt from Earth. 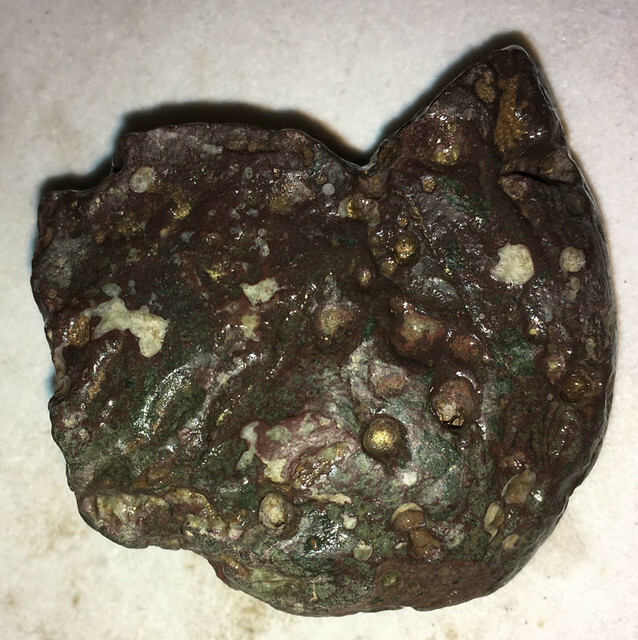 Not a meteorite. Meteorites almost never have vesicles. The surface would also be smoother since rough surfaces would be ablated off. Also some of the pics look like they have quartz. Meteorites would not have visible quartz. Thanks. Was just curious. This was found in my field. Looks like it has been broken several times over the years. The white areas in the photos have a green tint to them. 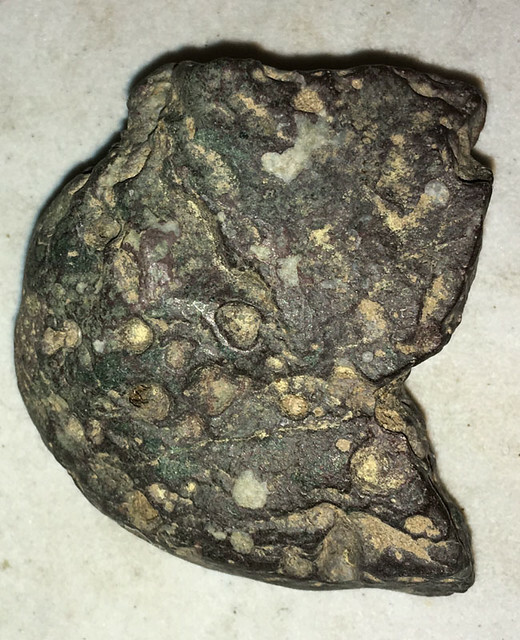 Here are some more examples of meteorites from my collection. 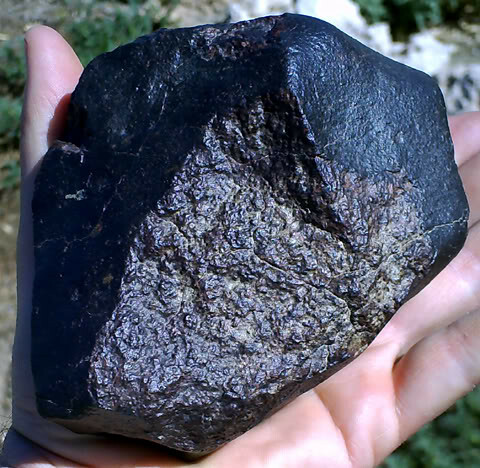 These are stone meteorites. Look at the surface which is relatively smooth. 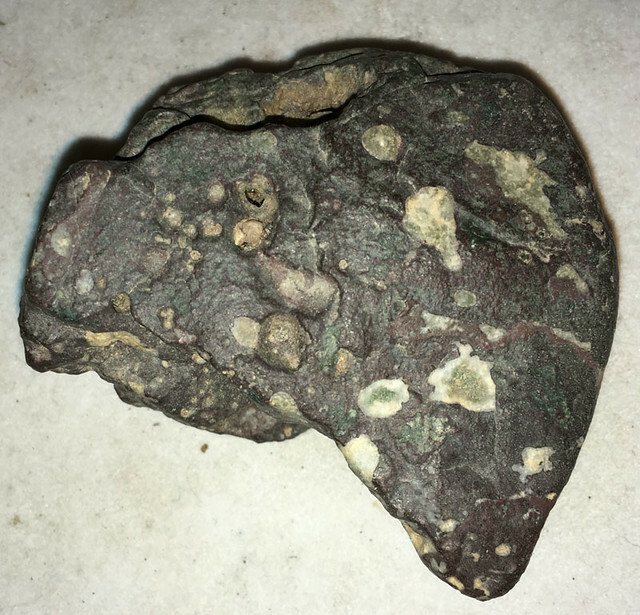 Once in a while a person will come across a heavily weathered meteorite and so may have some pitting from the chondrules weathering out. 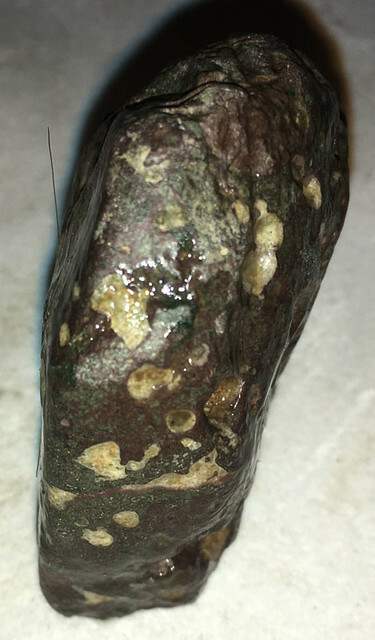 But overall most stone meteorites will have the smoother surface and not major drops and cracks like I see in some of the photos. These things are entering the atmosphere at 25,000-160,000 miles per hour. When they hit our atmosphere the pressure on meteors is extremely high. They can explode from the pressure, especially if they have cracks and any protrusion will create such intense friction that the areas immediately melt and ablate off. 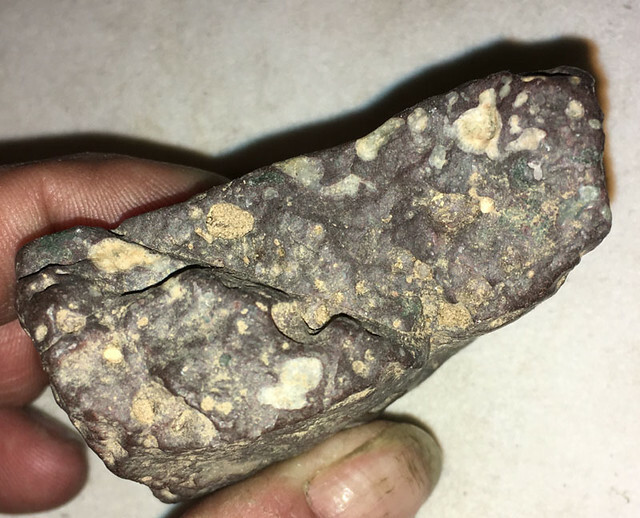 This is why you don't see rough areas or dropped areas in stone meteorites. 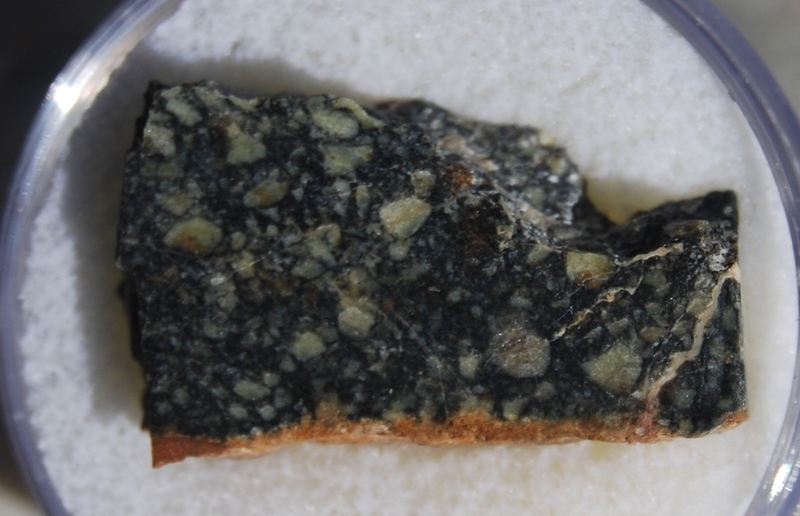 And speaking of olivine in meteorites here are some examples. 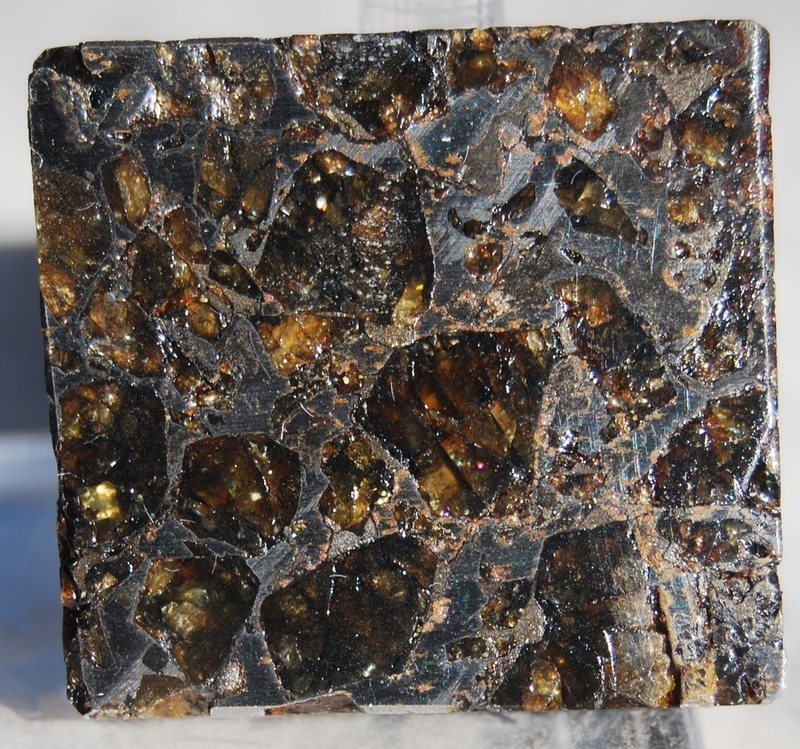 This first one is a stony-iron meteorite known as a pallasite and consists of olivine crystals in a iron-nickel matrix. 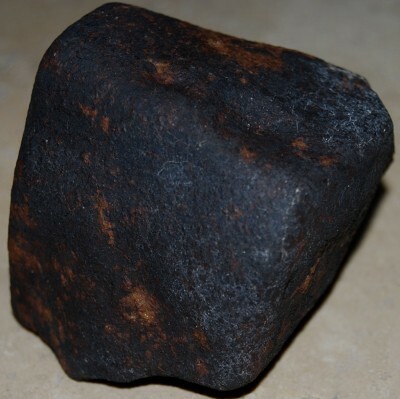 This one is a stony meteorite known as a diogenite. The greenish areas are olivine. This is a really unusual specimen for a couple of reasons. This is a pure olivine meteorite known as Tatahouine that fell on June 27, 1931. If you look carefully you can also see this a shatter cone. 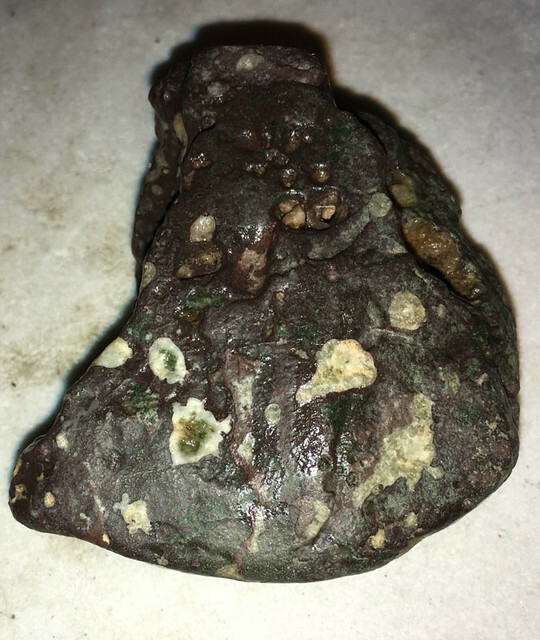 Here is one of my first meteorites and my favorite stone meteorite. 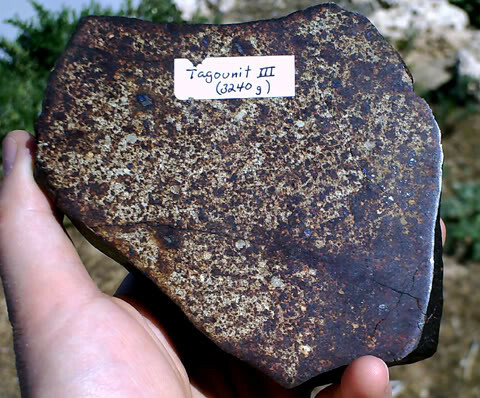 Here you can see both the crust as well as the inside including the iron-nickel inclusions. Something really cool about this specimen is the metal inclusions appear blue in sunlight. 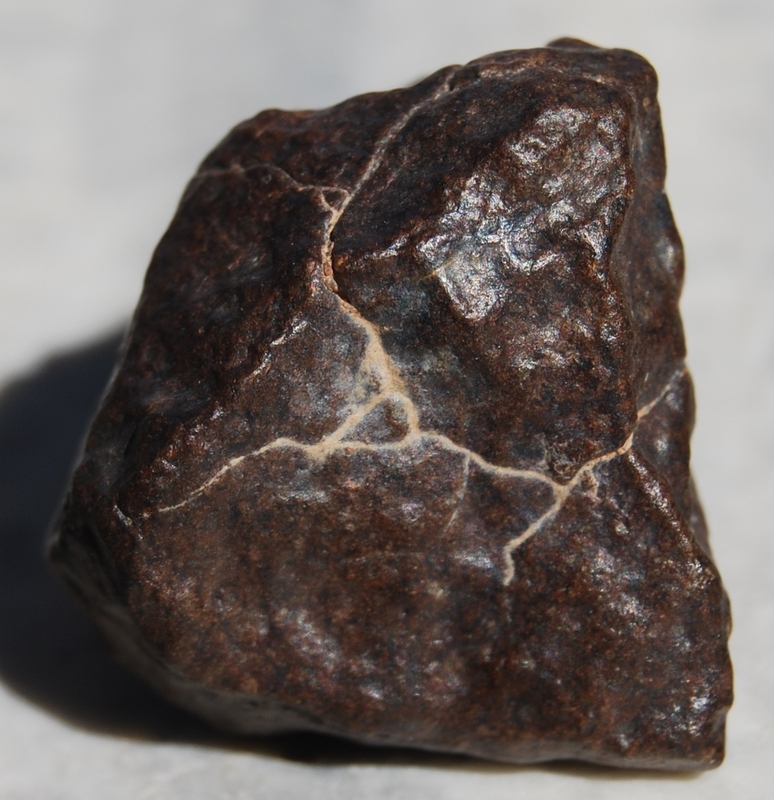 Another really interesting meteorite. 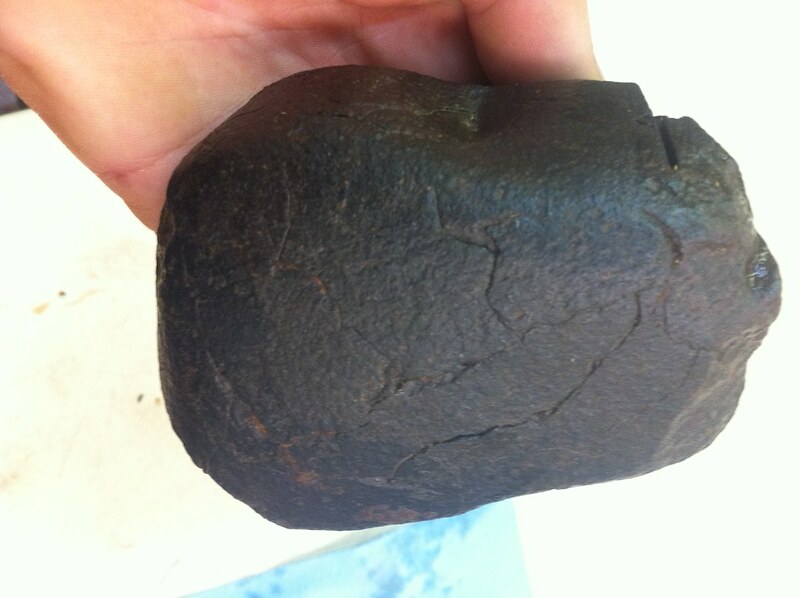 This is my Allende carbonaceous chondrite meteorite. 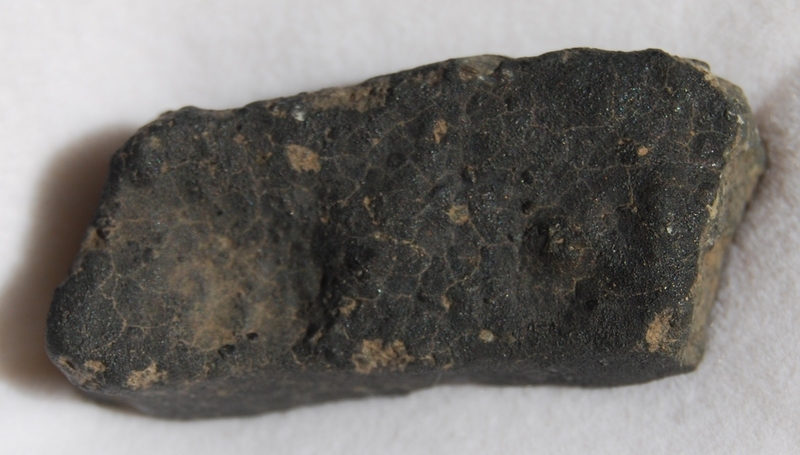 This is the oldest known material on Earth. 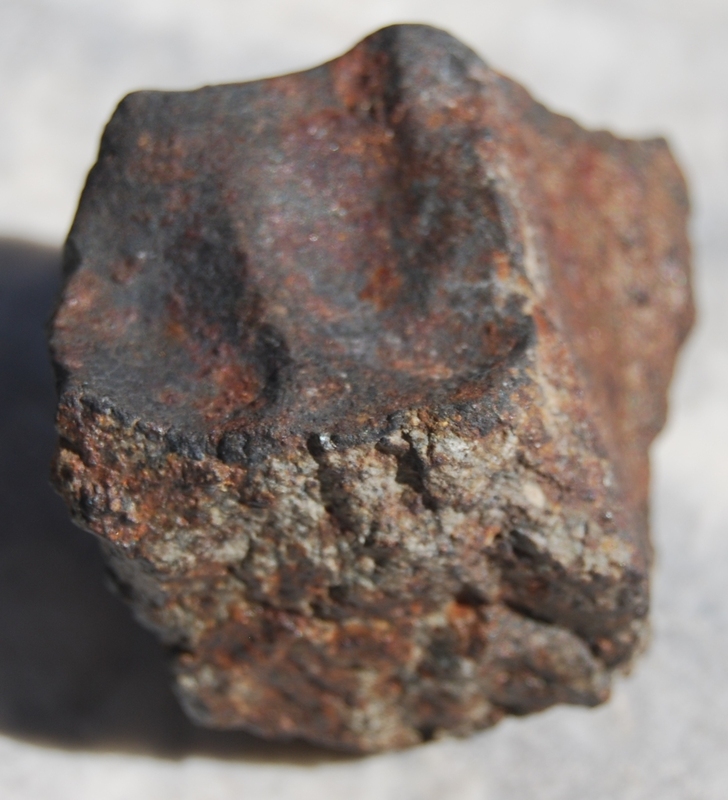 The Allende meteorite is over 6 billion years old predating our own solar system by over 2 billion years. Kind of mind boggling.